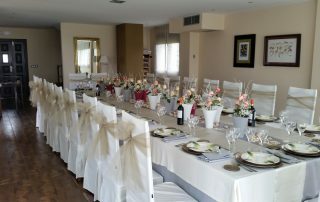 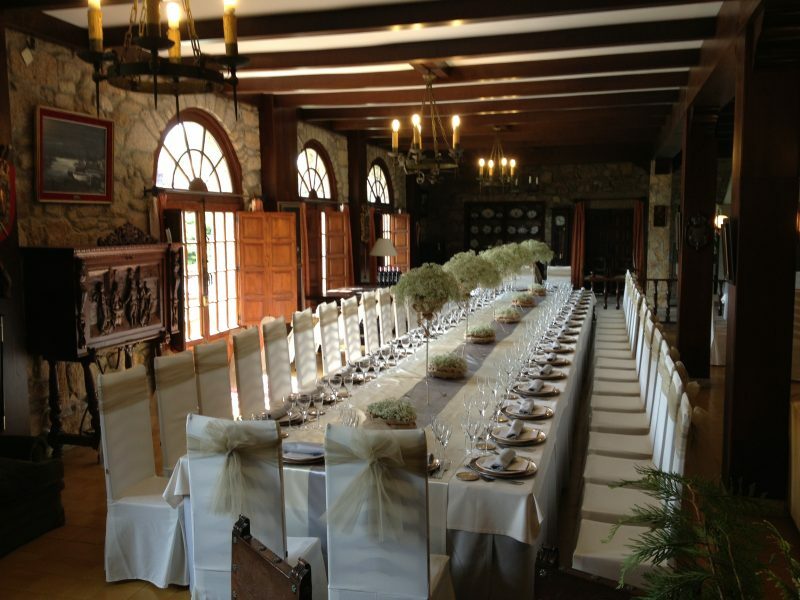 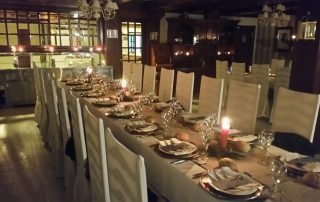 Prior to being a hotel, our establishment was a restaurant, and as such, specialised in the organisation of all types of events, such as weddings, family celebrations, cocktails parties, company events, etc. 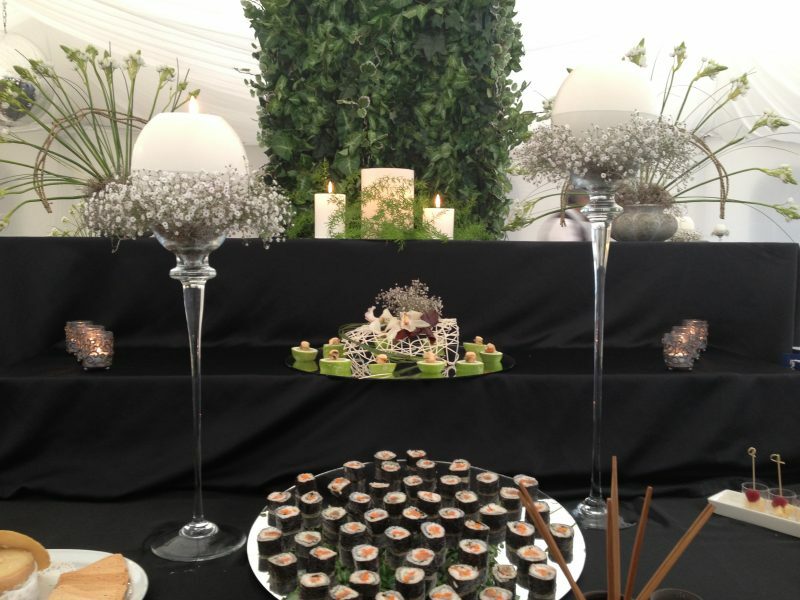 Since 1979, we have organised a multitude of events that have help us to develop and adapt to every change in tastes, menus, decorations and the dominant trends of every season. 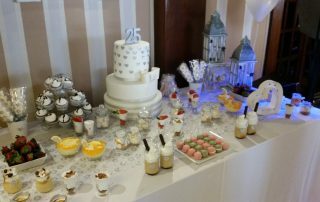 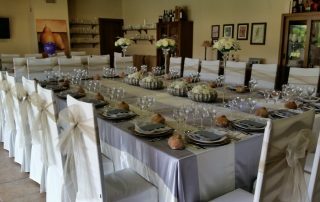 Our core idea is to make every event special, and that the combination of menu, service, decoration and details is perfect. 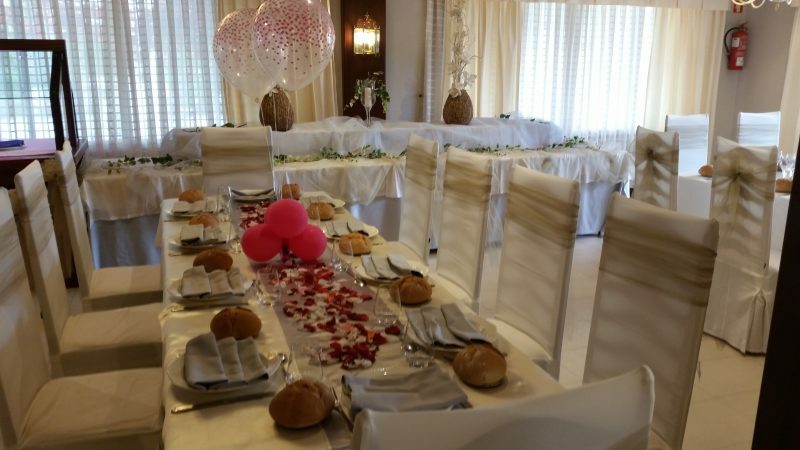 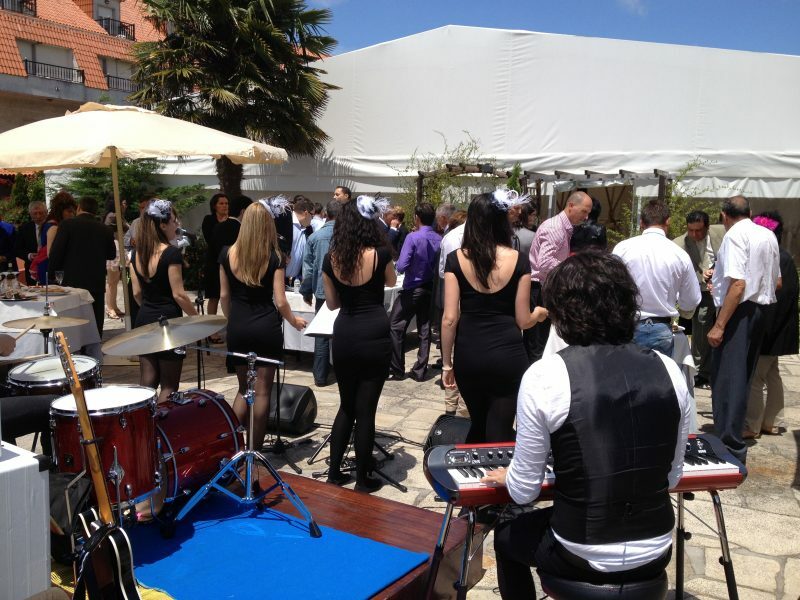 We hold any type of event in our facilities or in the client’s desired location. 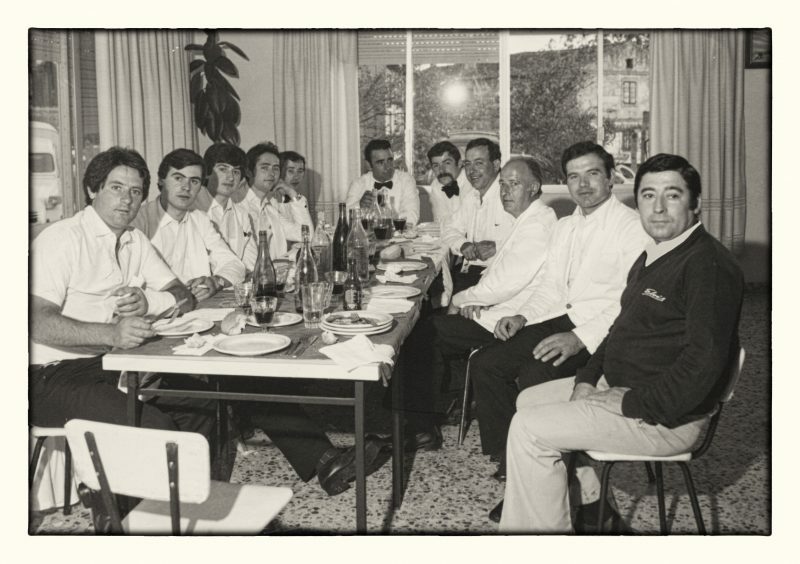 Photograph taken of our first event caterers team in 1980; Mr Anselmo Crespo, our founder, appears on the right. 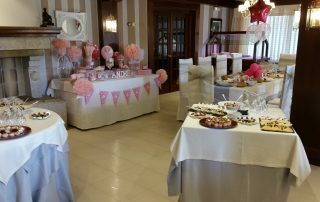 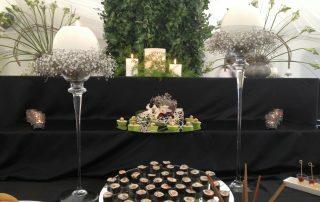 Since the year 1979, when our company started to organise all types of events, there have been many changes in the tastes and trends in menu design. 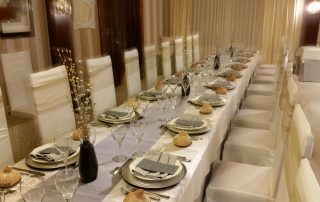 We have adapted to modern times, evolving along with the tastes and latest trends in menus. 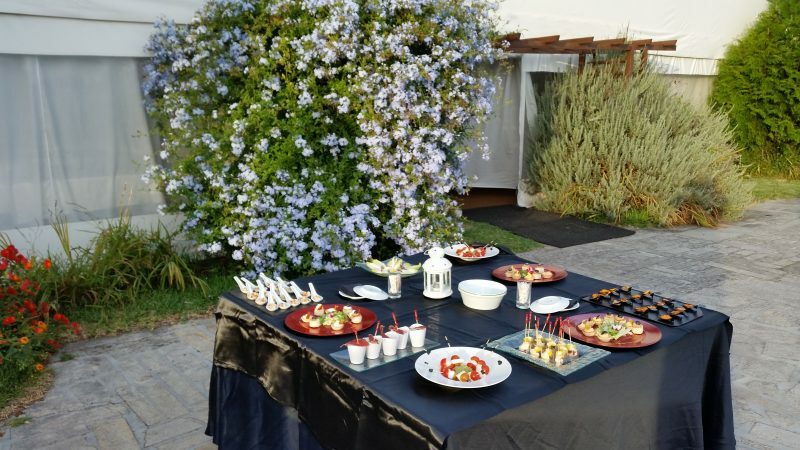 Our main goal is, foremost, the quality of the products we use, the presentation of our dishes, details and caring in our service. 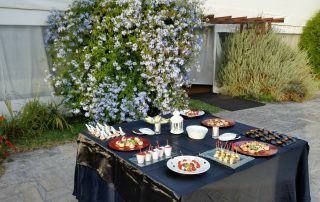 We adapt to any type of suggestion, and we even create themed menus with the client’s tastes in mind. 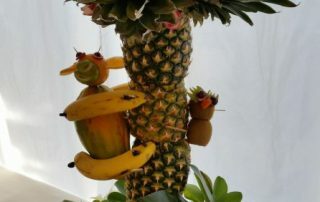 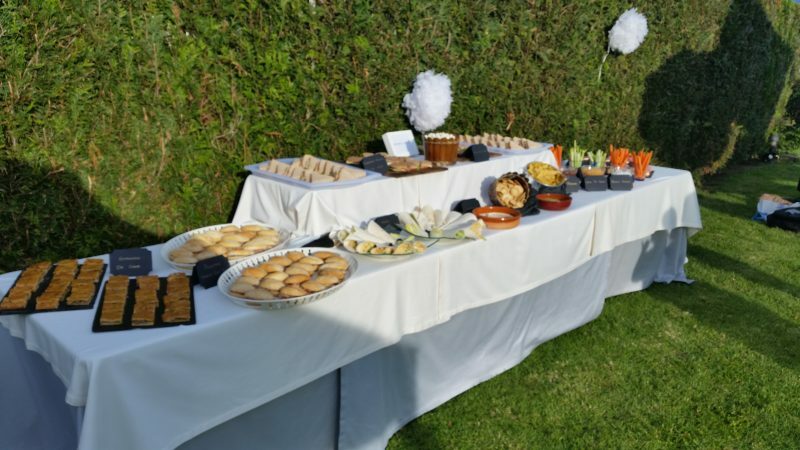 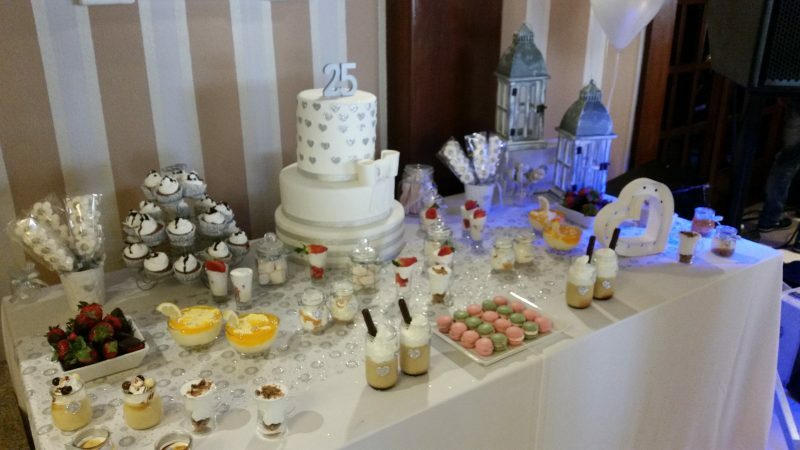 Our company adapts to your needs, tastes and desires, so the event could be held in our own facilities or in any other location of your choice. 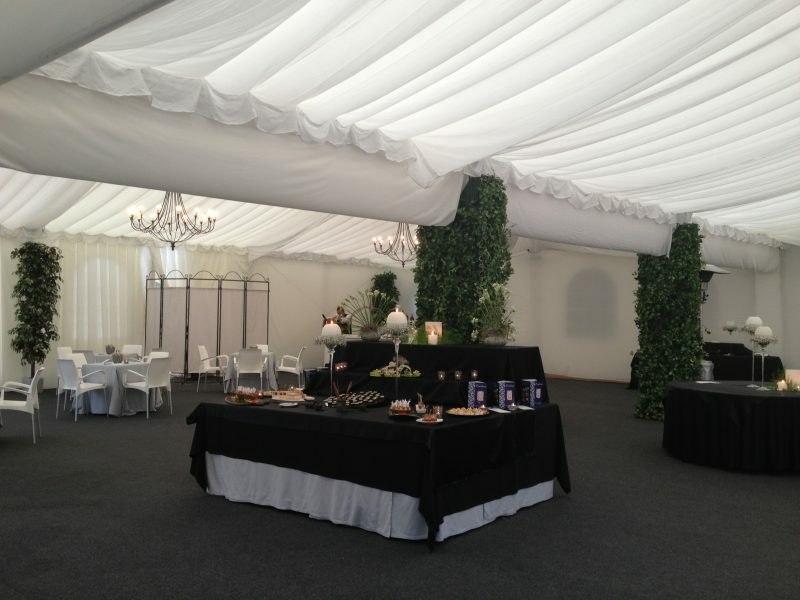 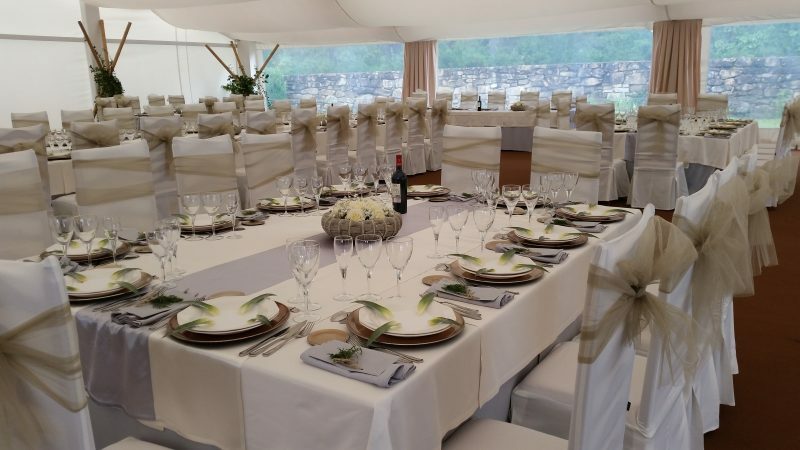 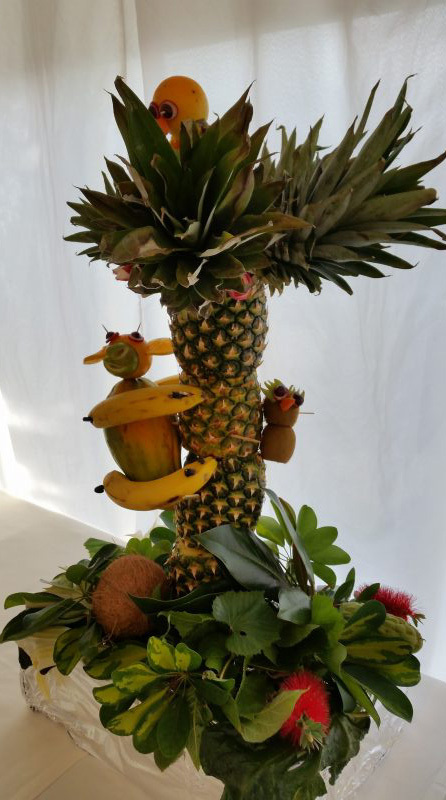 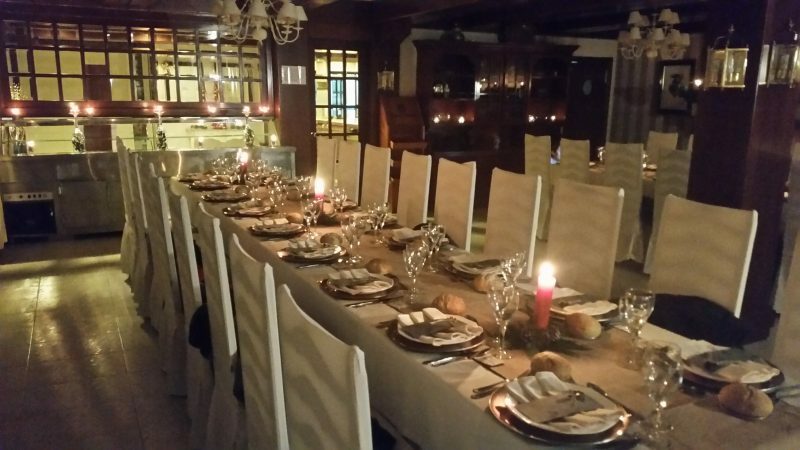 Our company has a catering department that can transport its infrastructure and logistics to the client’s choice location, so we can organise and carry out the event of their dreams. 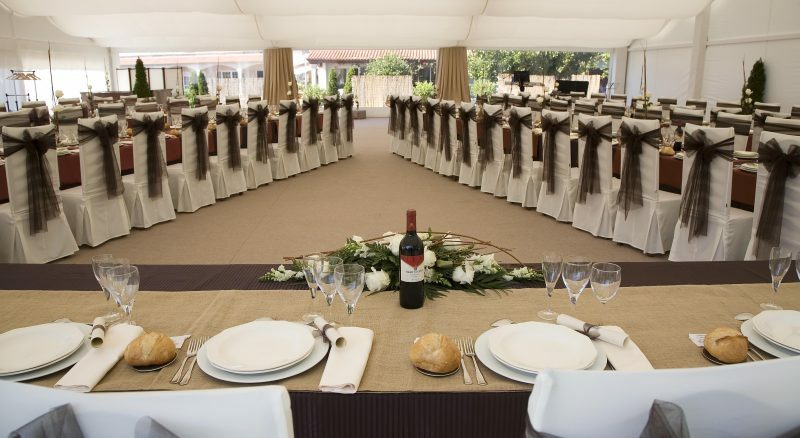 Renting of location, renting and assembly of marquees of any size, toilet setup, generator sets, etc. 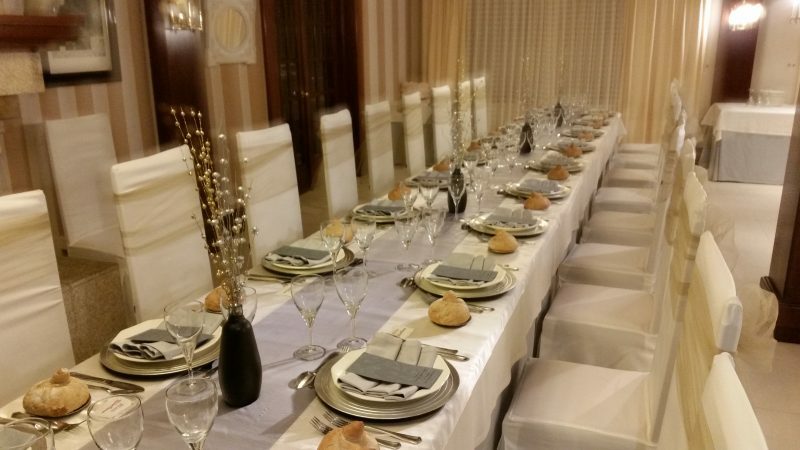 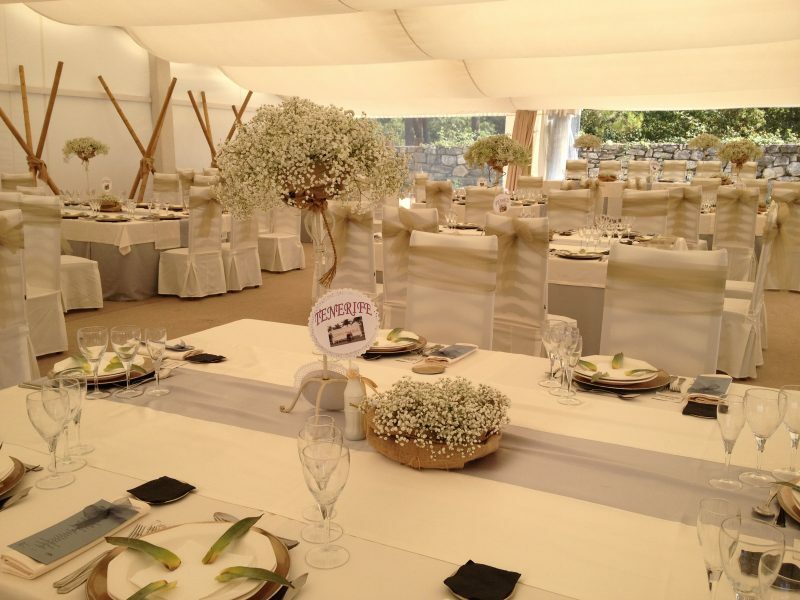 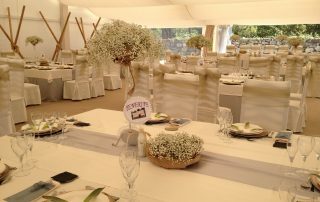 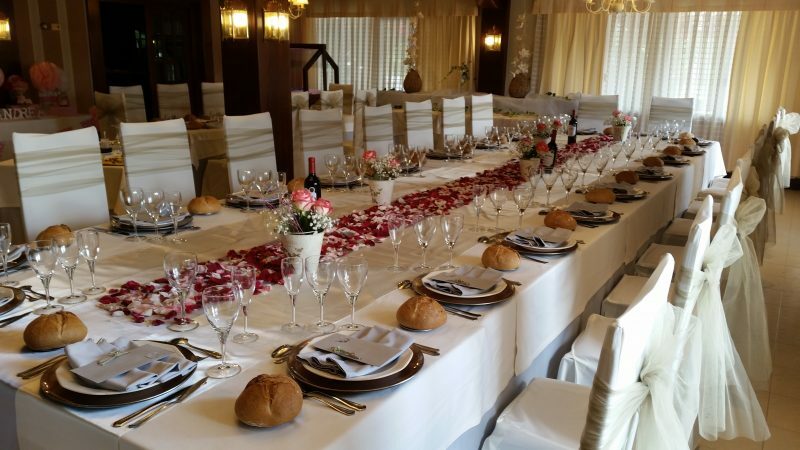 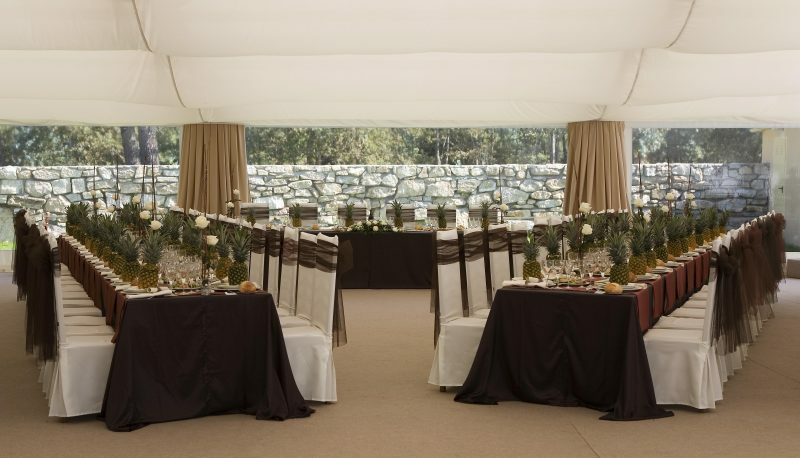 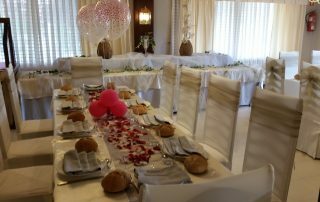 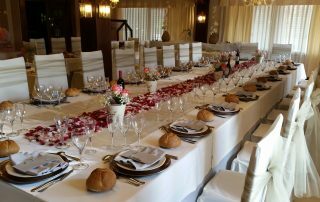 Renting of every necessary material for the event organisation, total protocol organisation, decoration of areas and tables. 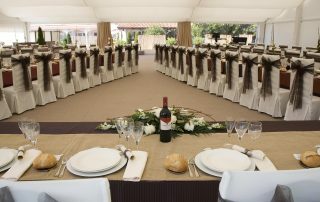 Design, preparation and service of menu. 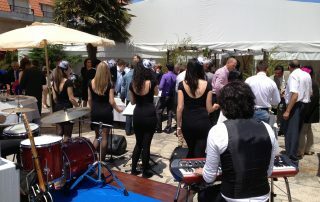 Hiring of music, DJ, barman, entertainers, etc. 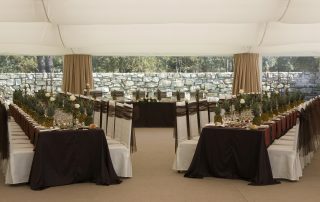 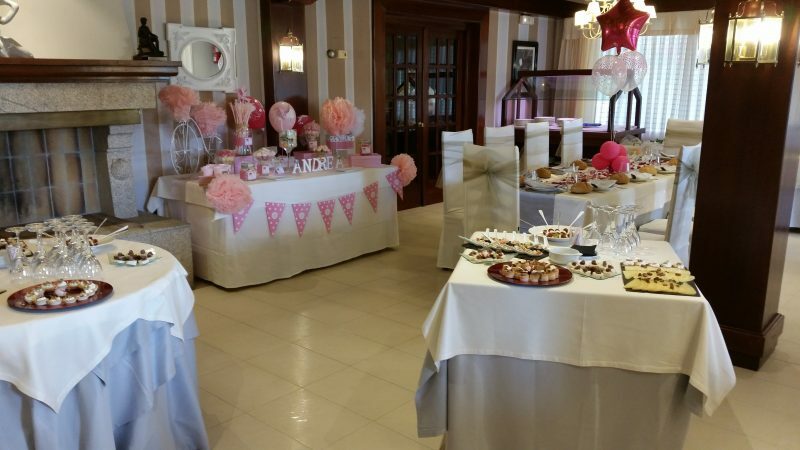 Our hotel facilities adapt perfectly for the organization of the event of your choice. 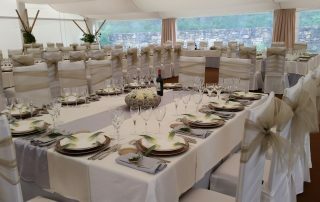 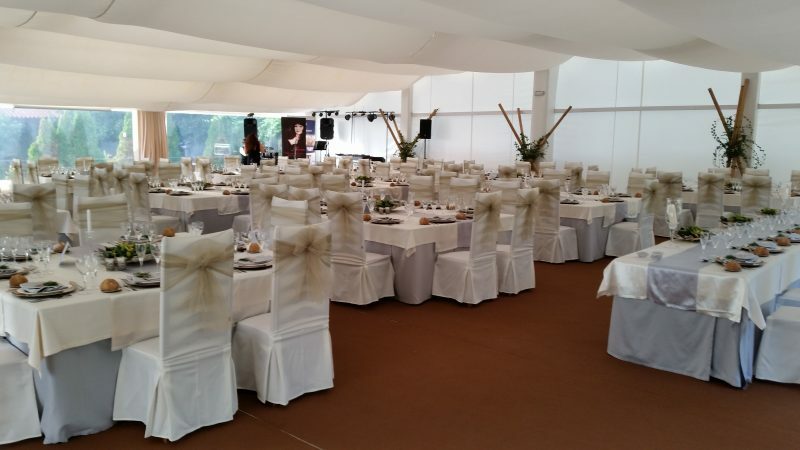 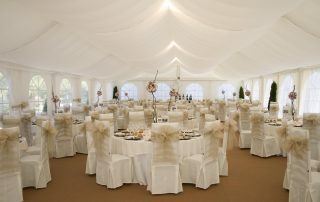 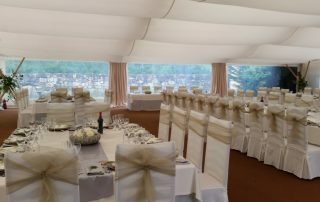 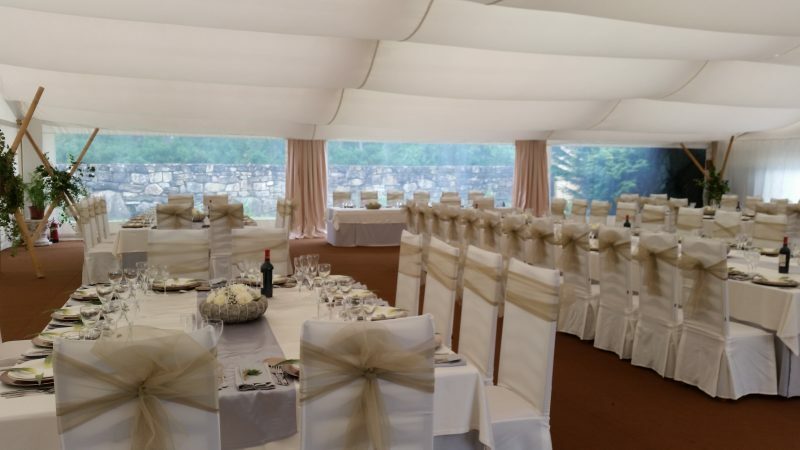 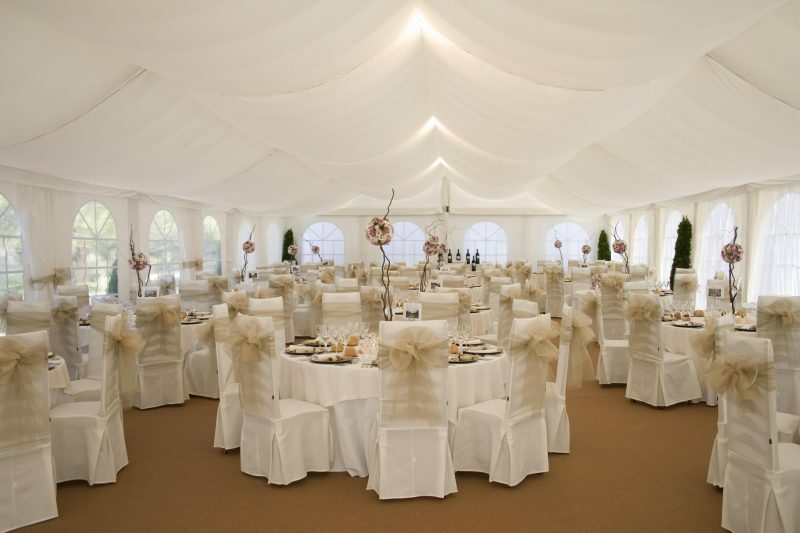 We have an outdoor marquee for 250 people and two restaurants, one with a capacity for 230 people and the other with a capacity for 70 people. 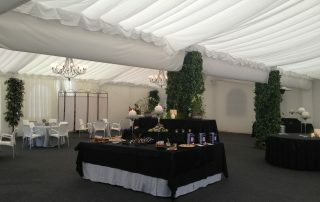 These halls are carefully decorated for events. 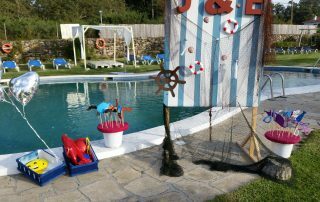 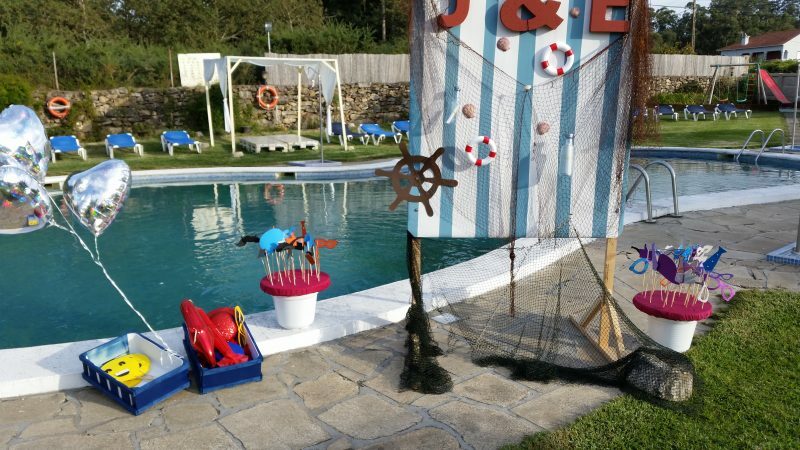 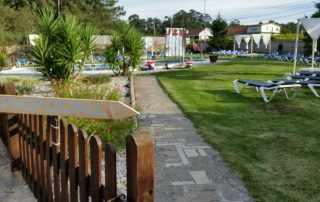 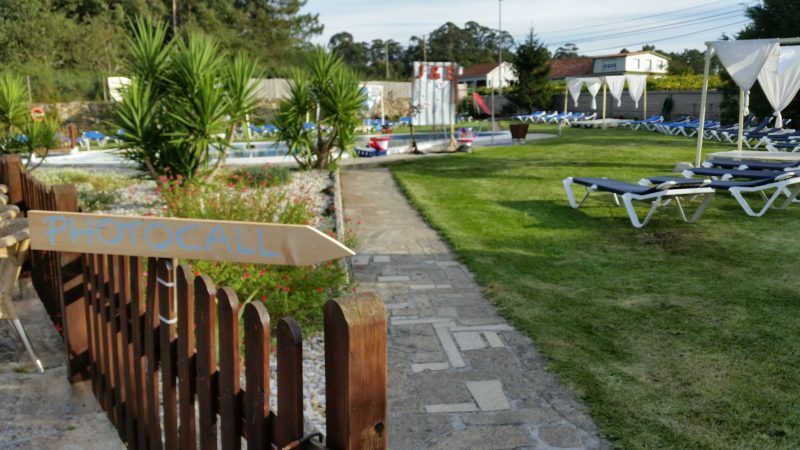 The hotel also has car parks, playgrounds, a swimming pool, a cafeteria, etc. 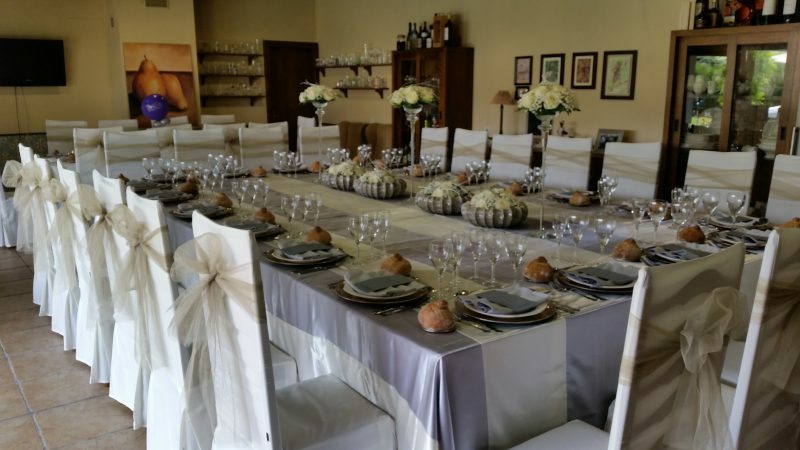 All these facilities make San Marcos Hotel the perfect place to enjoy any event. 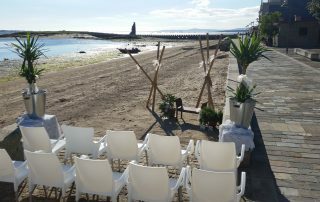 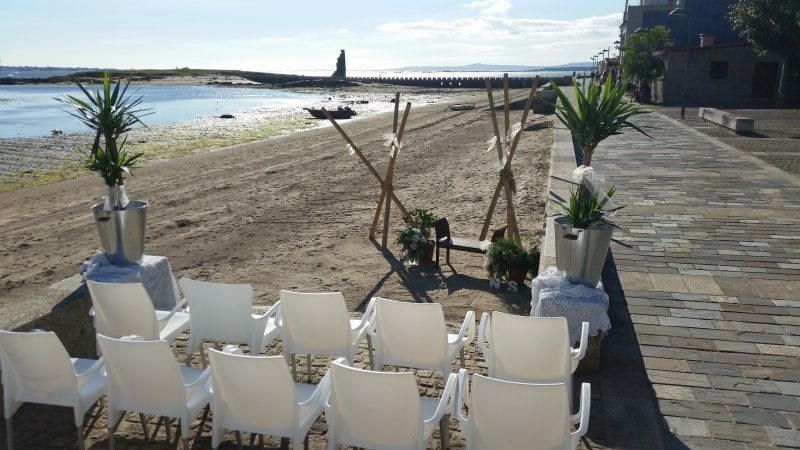 We even have an area for the celebration of a civil ceremony. 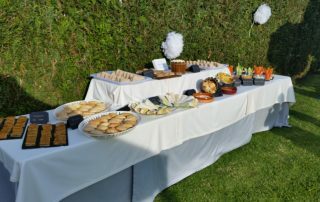 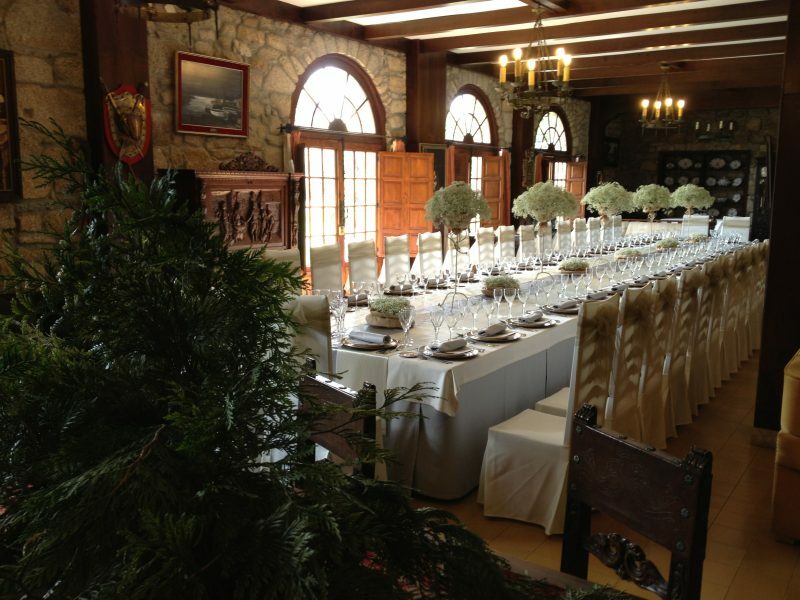 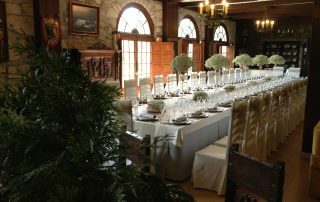 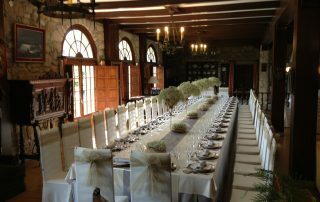 Beyond our facilities, we have our cuisine and service, making your event just perfect. 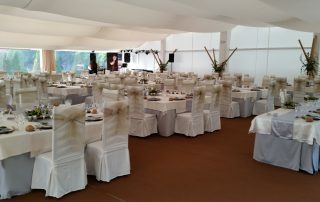 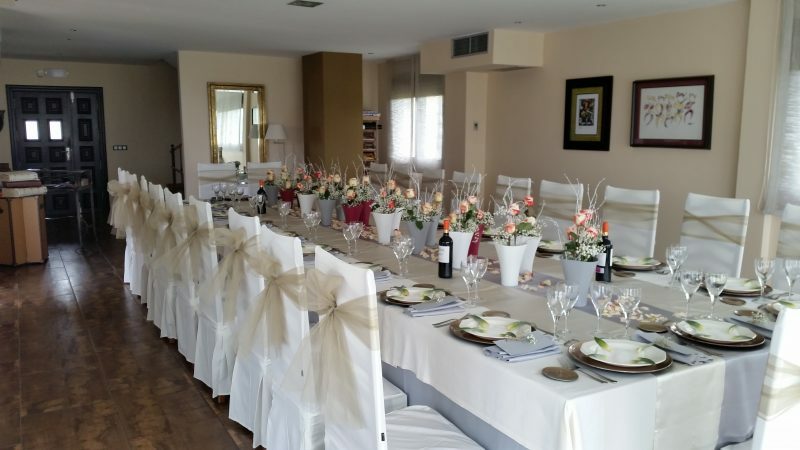 If you want to organise an event, do not hesitate to contact us.